Visitors to Crewe town centre witnessed an open-air chess match between councillors today when Market Square’s giant chessboard was brought into action. A supersized chess set has been purchased by Cheshire East Council for community use and was tried out by Councillor Simon Yates, leader of Crewe Town Council, and Councillor Chris Andrew, Cheshire East deputy portfolio holder for finance and assets. The equipment is available for use by prior arrangement and is intended to encourage community engagement, with plans in the pipeline for chess events next year. After almost an hour of play, the closely fought match between the councillors was declared a draw. Crewe Town Council clerk Steve McQuade then played against Macclesfield Town Council clerk Pete Turner, with the latter coming out on top. Cllr Simon Yates said: “Crewe has a great sense of community pride and so it’s pleasing that we can offer residents and groups the opportunity to make use of this chess set, which I’d like to thank Cheshire East Council for purchasing. Councillor Chris Andrew said: “This chess set is a great community asset and one that I hope residents and groups will make use of for years to come. Market Square, where the chessboard is marked out, was part of the recently completed ‘deep cleaning’ programme for the town centre. The work was carried out by contractors on behalf of Cheshire East Council’s arms length company Ansa Environmental Services to help improve the shopping environment for visitors. This Sunday, the Market Square will also be in use as part of Crewe Cosmopolitan Food Festival, which takes place from 10am-5pm. More than 40 stalls will line the streets offering flavours from across the globe and there will be live music performed by the Pantonic All-Stars Steel Orchestra, plus go-karts on the Market Square. Another of the initiatives currently taking place in Crewe is ‘Shop of the Week’. In the lead up to Christmas, Cheshire East Council and Crewe Town Council are turning the spotlight on the town centre’s independent retailers and promoting what they have to offer – with some great prizes and offers up for grabs by shoppers. The Shop of the Week campaign launched on the council’s Facebook and Twitter accounts on Monday and will run for several weeks. Cheshire East Council has taken a further significant step towards openness and transparency. All formal council committee meetings in future will be audio recorded as will full council meetings. The council’s regular cabinet meeting will continue to be webcast. Audio recordings will be made available via the council’s website and work is progressing to put in place the required technology for this. Council leader Rachel Bailey said: “There has been overwhelming support for this move in full council and I am pleased that we have taken a further step towards becoming a council that is open and fully transparent in the work that we carry out on behalf of our residents. As the council has no established council chamber and only limited facilities for video recording meetings elsewhere, it is hoped that, by audio recording all public meetings in future, this will more than meet the requirements of the council in terms of public access to information and council business. A cross-party working group to explore devolution proposals for Cheshire is to be set up by the Leader of Cheshire East Council, Councillor Rachel Bailey. The Council would then hope to develop discussion with Cheshire West and Chester Council with a view to creating debate around devolved powers for Cheshire along similar lines to the Northern Powerhouse, championed by former Chancellor and Tatton MP George Osborne. “This is why I am establishing a cross party working group within Cheshire East to work with me on developing the best possible case. “This has the support of the Conservative group and full Council. “The working group’s objective will be to enable an understanding to shape what devo could mean for the borough. “In addition, I would like us to have more powers over things such as large scale infrastructure projects, public transport, skills and health services provided to our residents. Cheshire East Council’s latest group of apprentices and graduates have started work in the council’s highways service – the first step in their established career development schemes. This year’s apprentice and graduate intake will see four local young people employed in highway maintenance, four in engineering, one in business administration, one in technical administration, one in street lighting maintenance and one person in finance. Apprentices will rotate between departments within the highways service and supplement their on-the-job training with college studies, over a two year period. Successful completion of the apprenticeship and college course secures permanent employment with the highways team. Graduates also rotate around various departments to benefit their career progression. Apprentices and graduates account for 7 per cent of employees in the highways team at Cheshire East, exceeding the average in this business sector. The highways team has now employed a total of 29 apprentices and three graduates since 2012, which is helping to secure the skills required for the long term delivery of highways services in Cheshire East. Cheshire East Council’s highways service is delivered by Ringway Jacobs, which has committed to the development of young people through its membership of ‘The 5 per cent Club’. The 5 per cent Club is an organisation that encourages public and private companies to have 5 per cent of their UK workforce consisting of young people on structured training such as apprenticeship and graduate schemes. This week, we remind people that there are numerous checks that can be completed which can minimise the affects of adverse weather. · Insulate pipes and drain off outside taps to prevent frozen pipes. · Know where your stop tap is and make sure you can turn it on and off with ease. · If you are going away, consider asking a friend or neighbour to check on your house regularly. That way, if you have a burst, it will be discovered early. · Leave your heating on if the weather is forecast to be freezing. · Contact Broad Oak Energy on 01782 550 371 for details of free or discounted loft and cavity wall insulation. · Fit draught proofing to seal any gaps around doors and windows. · Get your boiler serviced regularly by a qualified engineer. Remember, for gas boilers, check that your engineer is Gas Safe registered. · If a member of a person’s household is of a pensionable age, has a disability, is chronically sick, has a hearing and/or visual impairment or has a child under eight years old, they may be eligible for free services. It is advisable for people to contact their energy supplier to check whether they are eligible for free or priority services. Suppliers have a duty of care to households with customers who may be vulnerable regarding their energy supply. · Winter is also a good time to be aware of what to do if electricity supplies go off. Don’t assume that suppliers will know that power supplies are down – call them and have your name, postcode, house number and telephone number handy. Councillor Paul Bates, cabinet member for communities and health, said: “Throughout winter the Council will be issuing advice and information to help our residents to prepare for the colder weather, while also encouraging them to check in on their neighbours. Cheshire East Council arms-length company Orbitas is to improve the services it offers to the bereaved at Crewe and Macclesfield crematoria by webcasting funeral services. Webcasting will allow people who cannot attend the service to take part from anywhere around the world. Losing a loved one is difficult but being unable to attend the funeral can often make it worse. Now, the bereaved are being offered the facility to view the service privately and securely on the internet. The service will only be available for family and friends on request, who will be given a password to access the website. The broadcasts are live but remain accessible for seven days after the funeral. Councillor David Marren, chairman of Orbitas said: “There will always be people who cannot attend a funeral and they will have very good reasons for not being able to. “This service allows people who may have health issues, are hospitalised or who simply just live too far away to be a part of the service. It will allow them to observe, take comfort and to mark their respect from anywhere, worldwide. Members of Wistaston Jubilee Tennis Club have completed a fund-raising walk along the entire 34 mile length of the Sandstone Trail. George Raiswell, Tony Mason and Ryan Harper-Griffiths walked a twenty mile section between Whitchurch and Tarporley on 27th August 2016 in eleven hours. George, Tony and Ryan then walked the remaining fourteen mile section between Tarporley and Frodsham, with Ben Reinhardt, Eric James and other club members, on the 15th October 2016 in seven and a half hours, despite getting lost! During the walks they had elevated views at Frodsham, Raw Head and Bickerton Hill and took in some beautiful scenery and saw a wide range of flora and fauna. Their next challenge is to take on the 35 mile Gritstone Trail from Disley in Cheshire to Kidsgrove in Staffordshire, taking in Lyme Park, Sponds Hill, Tegg’s Nose, Croker Hill and Mow Cop. They plan to tackle the trail in three separate sections. UKIP Candidate for Crewe West By-Election. Cllr Brian Silvester has been selected as the UKIP candidate for the Crewe West Town Council by-election on December 1st. He said," Crewe Town Council has been a Labour Party dictatorship for ever.There has NEVER been any opposition Councillors elected.All that is going to change on December 1st. UKIP is the main contender to Labour in Crewe Town Council elections.The other parties are nowhere.The way to beat Labour in Crewe is to vote UKIP. Crewe is in a sad spiral of decline and the Town Council are doing little to arrest that decline.They have doubled their spending of Council taxpayers money in last 3 years, up to £465,000 a year.Crewe residents are asking what happens to all that money because they don't see the benefit of it around the town.The Town Council delivers virtually no services, just allotments,so what is all that money being spent on?" 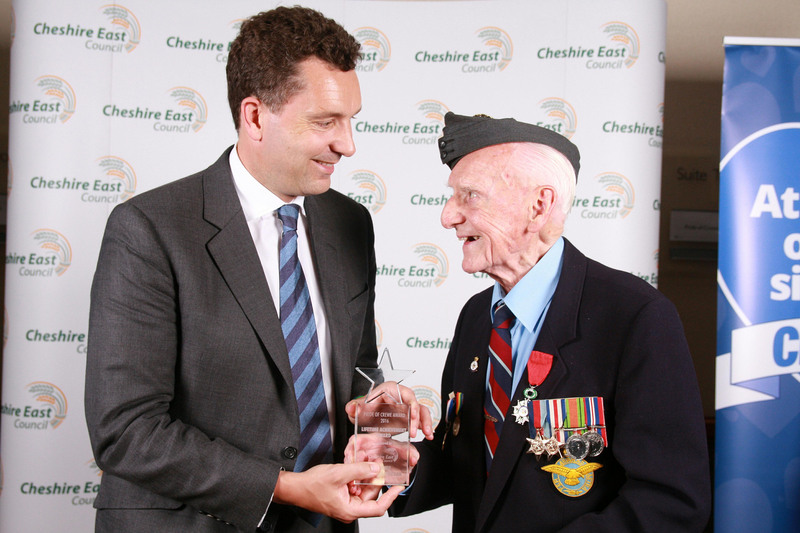 Acts of courage, outstanding achievements and community stalwarts were all recognised during the Cheshire Local Hero Awards. Hosted by Cheshire radio station Silk 106.9 and sponsored by Cheshire East Council, the awards were held at The Tytherington Club in Macclesfield on Friday, October 21. Twelve awards were handed out to some of the county’s unsung heroes, with the audience told of some truly selfless acts. In a particularly poignant moment of the night, The Pride of Cheshire award – sponsored by the Council – was given to the family of Congleton man Tom Jackson, 30, who died after trying to save fellow backpacker Mia Ayliffe Chung, 21, as she was stabbed to death in Australia. The attack at a tourist hostel in Queensland took place on August 23. Tom died on August 30, with his organs helping to save the lives of six people. Tom’s mum, Sandra, dad Les, sister Olivia and brother Daniel took to the stage to collect the award. The audience also heard how the quick-thinking actions of Act of Courage award winners Jonathan Slack, Steve Davies, Karen Espley and Matt Jones had saved the life of 33-year-old James Bailey. On July 9 this year, James went out for his usual Saturday run in Congleton. But during his run he suffered a sudden cardiac arrest and collapsed at the side of the road. Jonathan, of Smallwood, couple Steve and Karen, of Crewe, and Matt, of Stone, were all driving down the A34 and stopped their cars, before calling an ambulance and performing CPR at the side of the road as James’s heart had stopped. After 10 days in hospital James was discharged and has now fully recovered. Joining the winners on stage to collect their award, James told the audience he has no memory of the event. The awards were hosted by Silk 106.9 presenter Dane Swindles and Cheshire East Council’s Trevor Green. Guests included MP for Macclesfield David Rutley, Councillors Liz Durham, Ainsley Arnold and Paul Bates and Strategic Director of Adults Social Care and Health, Mark Palethorpe. During the night, £470 was raised for Cheshire Young Carers. Cheshire East Mayor Councillor Olivia Hunter said: “I’m honoured to have been invited along tonight and to have heard the truly inspiring stories of all our winners. “There are people of all ages throughout Cheshire East that are working tirelessly for the good of our communities, and whose selfless and brave actions truly deserve recognition. It was a privilege to be able to pay tribute to some of those individuals here tonight. 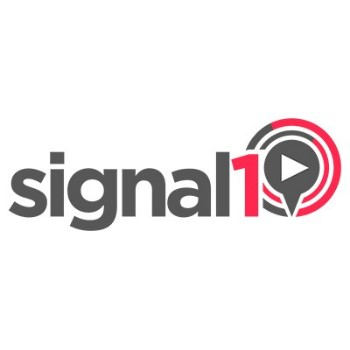 David Flavell, station manager at Silk 106.9, said: “We are immensely proud to host the Local Hero Awards, which are now in their 19th year, and to be able to pay tribute to some of the thousands of people across Cheshire that are doing such brilliant work in our communities. 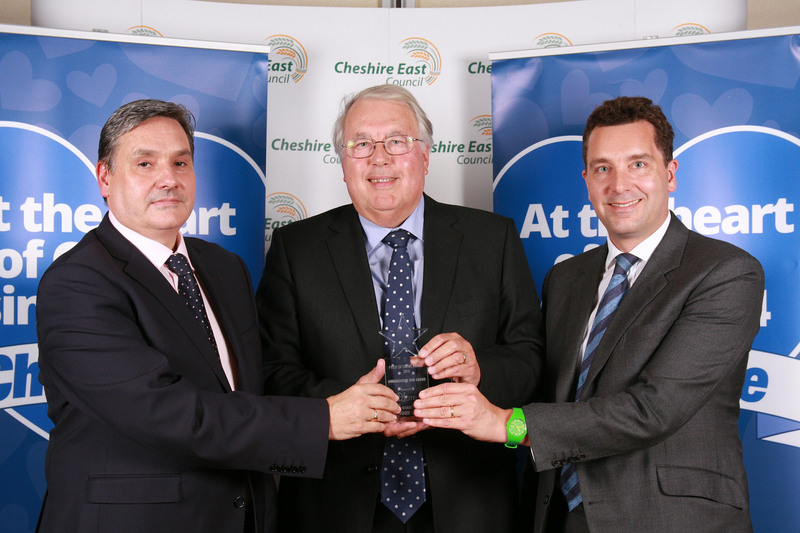 Councillor Paul Bates, Cabinet member in charge of communities and health, said: “The Local Hero Awards have once again highlighted just how truly fantastic the people of Cheshire are. The annual Reaseheath Apple Festival was held on Saturday 22nd and Sunday 23rd October 2016, at Reaseheath College - http://www.reaseheath.ac.uk/ - in Nantwich. This free event took place in the new National Centre for Horticulture, the Environment and Sustainable Technology building. There were over one hundred different varieties of apple on display, which are sourced from an orchard located between Nantwich and Whitchurch. Varieties included Monarch, Wealthy, Lady’s Fingers, Jumbo, School Master, Royal Jubilee, Fiesta, Rival, No Pip and Spartan. Retired Reaseheath College lecturers Derek Jones and Harry Delaney were on hand to identify different apple varieties and offer fruit growing advice. Visitors could use an apple pressing machine to collect the juice. There was also a plant sale with advice on choosing the correct plant and tours of the new £1 million greenhouse which contains zones for potting, propagation, tomatoes and strawberries. Tom Adams Fruit Tree Nursery - http://www.tomtheappleman.co.uk/ - had a stand. Tom has run his one-acre nursery for six years and provides planting & aftercare, pruning & tuition and consultancy. Tom also sells heritage varieties of fruit trees and specialises in apple trees native to the Welsh Marches area. Students from Reaseheath College have had work placements at the nursery to learn all aspects of organic orchard and nursery management. The LATH (Looking After The Homeless) Group held 'A Gala Autumn Concert' at Wistaston Memorial Hall, Wistaston on Saturday 22nd October 2016. The concert featured ukulele collective ‘The Ukey Monster’ - https://www.facebook.com/TheUkeyMonster - who performed an eclectic combination of popular songs in a quirky, energetic and upbeat style. There were vibrant vocal harmonies, Ukey sizzling solos, luscious licks and big bass grooves from Deep Purple to Lily Allen, Michael Jackson to Motorhead, and Chuck Berry to Pink Floyd! There was also a raffle and free light refreshments. Proceeds from the concert will go to The LATH Group, who have converted the disused former 'Bed Centre' shop at 38 High Street, Crewe into a drop-in centre to help homeless, vulnerable and lonely people. The centre features a recreation area, lounge area, computer facilities, telephone service, toilet block, kitchen and dining area. The LATH Group developed from an idea obtained from a talk by a Salvation Army Officer in 2009, to a full blown registered charity, offering sustenance, advice and assistance, and practical support to the most vulnerable in the community. The LATH Group is run entirely by unpaid volunteers and most of its funds come via donations and its own fundraising, with some corporate support by way of groceries from Marks & Spencer, Morrisons, the SPAR shop (Rope Lane), and other support from the FRESH Group of businesses. Bernard Potter (Chair of The LATH Group) said, "Fundraisers like this are so enjoyable for all concerned, contribute valuable funds for our cause, and hopefully raise awareness of what we are about"
The Andrews Panto & Plays Society (TAPPS) are staging an 'Autumn Frolics' variety show on Saturday 29th October 2016 (7pm) at St Andrew's Church Hall, Bedford Street, Crewe. The show will feature local talent including singing duo 'Pick & Mix', a tribute to ABBA, and comedy acts. Tickets = adults £5, children £2.50, family ticket (2 adults 2 children) £12. Proceeds will go to to local charities and St Andrew's Church. For further information please phone Fred on 07908819848 or 01270 652638. Cheshire Constabulary and Cheshire Fire and Rescue Service are joining forces this year to make sure everyone has a safe and enjoyable Hallowe’en and Bonfire Night. The blue light services are working together to crack down on anti-social behaviour and amplify key fire safety advice to ensure that Hallowe’en and Bonfire night go off with the right sort of bang. Superintendent Martin Cleworth, who heads up the Constabulary’s Task Force, said: “Hallowe’en and Bonfire night are one of the busiest times for officers dealing with anti-social behaviour. We want to remind and encourage the younger members of our community to enjoy this time of year safely and to behave responsibly. “It is important that everybody respects their local community and residents who do not wish to be disturbed by trick or treaters. If you see a clear sign which states ‘No trick or treaters’, or no pumpkins or other decorations, please respect that person inside by not knocking on their door. Indeed, if the door is not answered at all, please accept that they do not wish to participate and move on to the next house. Colin Heyes, Cheshire Fire and Rescue Service’s Arson Reduction Manager, added: “During the Hallowe’en period, we want to remind parents that some children’s Hallowe’en costumes can be extremely flammable, there have been some horrific accidents in recent years. Check the labelling in any costumes you buy, and tell your child to take care when near an open flame. Also, consider using LED lights in pumpkins instead of candles. If you do use candles, be extra careful both inside and outside the home. “Bonfires and nuisance fires can quickly spiral out of control causing devastation to the community and even risking lives. If possible, attend an organised display rather than holding bonfires and hosting firework displays at home. Professional displays are bigger, brighter and much safer for yourself and your local community. A collaborative partnership between Cheshire East Council and Crewe Town Council to revamp the town’s market offer is to go ahead. An initial £50,000 cash injection from Cheshire East will supplement a £100,000 spend by Crewe Town Council. Cheshire East’s initial contribution will fund a business plan and delivery programme to develop a new vision for the historic charter market and arrest the decline in patronage and stalls. Both Councils plan to work together to improve the market buildings and look at the potential to develop a vibrant link between the town centre, Grand Junction Retail Park, Memorial Square and Market Street. Essential maintenance work is already taking place on the market hall at a cost of £180,000 but Cheshire East and Crewe Town Councils intend to press ahead with a far-reaching plan to regenerate the market hall, including the surrounding public spaces and footpaths. Councillor Paul Bates, cabinet member for communities and health, said: “We want to see a revitalised Crewe market and will work with the town council to deliver a new market experience for the people of Crewe. Councillor Simon Yates, Leader of Crewe Town Council, said: “The town council is ready to play its part in securing the long term future of the markets in Crewe. “The markets are an engine and incubator for business in the town and it is vital that Crewe has a markets offer that befits a town this size. “I’m looking forward to working to bring about change that meets the current and future needs of the local population and provides something of a destination in the town that can attract folk from far and wide. “Part of that is to ensure that the markets sit in an area that is clean tidy and attractive. Let’s make it happen”. The vision for the future of the market could include a wider variety of goods and produce, including market fresh produce sourced from local rural suppliers, accompanied by an underlying theme of healthy eating. A full consultation exercise with staff, traders, residents and market users has already begun. Old school BMX bike fans gathered in Crewe on Saturday 15th October 2016 for a social ride through the town. Around thirty people gathered at Crewe railway station in the morning for the 'Crewe Old School Ride' event organised by the ‘Crewe and Cheshire old school BMX’ group. They rode to a selection of pubs in the town for light refreshments and lunch and their ride finished at The Shanaze Reade BMX track at Tipkinder Park in Crewe. The event was open to all and bikers ranged in age from children to adults. They rode racing and freestyle vintage BMX bikes from the 1980s as well as modern BMX bikes. BMX brands represented included Haro, Raleigh, GT, Mongoose and Skyway. The event was organised by John Collins from Crewe, who rode his lovingly restored green and gold 'Collins Customs' bike. John said, “We had a great turnout at our 'Chesh-Air' event in June this year and another great turnout to this event. 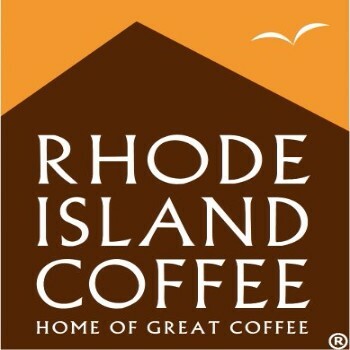 We are always looking for new members, so please get in touch and join us on our next ride." For further information relating to the ‘Crewe and Cheshire old school BMX’ group please visit: https://www.facebook.com/groups/1145537948806438/ . The ‘Annual Hall Quiz’ for the Fred Lorimer trophy takes place on Tuesday 25th October 2016 (starting at 7:30pm) at Wistaston Memorial Hall, Church Lane, Wistaston, CW2 8ER. Quizmasters are Peter and Christina Wainwright. Entry fee is £10 per team of four. The LATH (Looking After The Homeless) group invite you to 'A Gala Autumn Concert' this Friday 22nd October 2016 (commencing 7:30pm) at Wistaston Memorial Hall, Church Lane, Wistaston, CW2 8ER. The concert will feature ‘Ukey Monster’, a ukulele collective performing an eclectic combination of popular songs in a quirky, energetic and upbeat style. Tickets = £8 (concessions £5). There will also be a raffle and free light refreshments. National Burn Awareness Day takes place on 19 October. The aim of the day is to raise awareness and reduce the number of burns and scalds each year. The clocks go back at 2.00am on Sunday 30 October and, as summer time officially ends, we're asking people to prepare for the autumn and winter by checking their smoke alarms. Cheshire Fire and Rescue Service would like to offer fire safety advice to people celebrating Diwali on 30 October. A further phase in the major highways infrastructure programme for Crewe is set to go ahead. If approved by cabinet next week It would relieve the town of another pinch-point to the east, enhance connectivity, reduce journey times and keep residents, motorists and businesses on the move. The Crewe Green roundabout improvement scheme would become the next generator of jobs, offering a huge boost to the local economy. Cheshire East Council’s Cabinet is recommended to approve the Crewe Green roundabout improvement scheme, subject to planning consent, when it meets on Tuesday (October 18). The ambitious plan would see the removal of most traffic signals and a much enlarged oval-shaped roundabout, which will allow all traffic movements to be catered for via a single road junction with each individual merging and exit point significantly widened. Lengthening the existing roundabout will enable Sydney Road and Hungerford Road to connect directly, again via a widened highway. Safe routes would be provided for all non-motorised traffic to enable pedestrians, cyclists and mobility scooters to negotiate the roundabout using footways, cycleways and signal-controlled crossings. Road signage would also be improved to give clearer lane directions to road users, reducing driver confusion and enhancing road safety and traffic flow. Costing £5m, it would remove another frustrating pinch point on the edge of the town and would add to the suite of major highways improvement schemes, including Junctions 16 and 17 of the M6, the Basford West Spine Road (Jack Mills Way) and Crewe Green Link Road (David Whitby Way). The council also has funds in place to progress the Congleton Link Road, Poynton Relief Road and Middlewich Eastern Bypass. Improving the Crewe Green roundabout will be a further step towards greater connectivity and traffic flow around Crewe. This, together with the replacement of the Sydney Road Bridge, would also speed up journeys to Leighton Hospital and to the wider highways network. It would also provide capacity for the predicted growth in traffic up to 2030 as set out in the emerging Local Plan. Access to strategic employment sites in the locality, and to the town of Crewe, would be significantly enhanced. The funding pot would be made up of local growth fund and section 106 monies from local private development schemes. Councillor David Brown, cabinet member for highways and infrastructure, said: “This scheme represents a further landmark in the council’s long-term strategy for improving connectivity, creating employment and housing opportunities and preparing Crewe for the arrival of high-speed rail in the shape of HS2. “Together with the replacement of the Sydney Road Bridge, this will relieve the motorists and commercial drivers of some of the frustrations they have faced owing to limited highways capacity. If the scheme is approved at Cabinet, followed by planning, then works on statutory services could commence next spring, followed by construction work from spring 2018. Communities in Crewe and Nantwich are being invited to apply for grants aimed at promoting walking and cycling. Town and parish councils, charities and voluntary organisations can apply to Cheshire East Council for up to £9,999 in funding. The grants could be used to run free cycle awareness or bicycle maintenance courses, or for bike loan schemes. encourage people to use the car less and opt for healthier and greener forms of transport. infrastructure, said: “This new grants scheme will help us to deliver some exciting projects in Crewe and Nantwich to encourage more walking and cycling. Nantwich, when travelling to employment, skills and training. They must also be in line with the assessment criteria as set out in the “Policy for the Allocation of Transport & Accessibility Grants”. The closing date for applications is November 4, 2016. Applicants will be informed of the decision within six weeks of the closing date. For more information on how to apply, email: ltp@cheshireeast.gov.uk or telephone Janet Mills or John Davies on 01270 686348. Welcome to this, my 170th news bulletin. The 'Pride of Crewe' was celebrated at a glittering awards ceremony at Crewe Hall Hotel last month. Winners at the ceremony included local businesses, Mornflake (Global Export) and Bentley (Excellence in Industry), and individuals, Graham Witter (Community Individual), Mishca Leake (Inspiring Young Person) and Crewe's 92-year-old former codebreaker, Normandy Veteran and community stalwart, Bernard Morgan (Lifetime Achievement). A great night was had by all in attendance, and with an enthusiastic partner, in Cheshire East Council, and the support of South Cheshire Chamber of Commerce and local employers, such as Bentley Motors, South Cheshire College, Mornflake, Virgin Trains and QHotels, I'm sure this campaign will go from strength to strength. Crewe is a fantastic town, with much to be proud of, and I look forward to celebrating its residents' achievements, again, at next year's event! 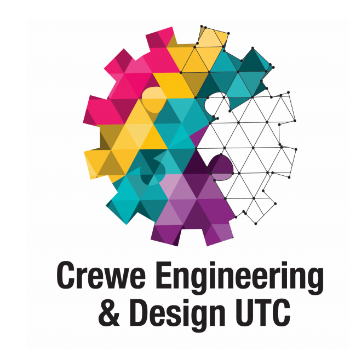 On 17 September, I had the privilege of joining staff and students at the official opening of Crewe Engineering and Design UTC. The new £10.6 million college, situated on West Street, will offer local students, ages 14-19 years, industry-oriented courses, and combine the National Curriculum, Technical Award Qualifications, work experience and business acumen to cultivate routes into rewarding employment, apprenticeships or Higher Education. provide students with a clear career pathway, with opportunities to work with some of the UK’s leading companies in STEM subjects (Science, Technology, Engineering and Mathematics). 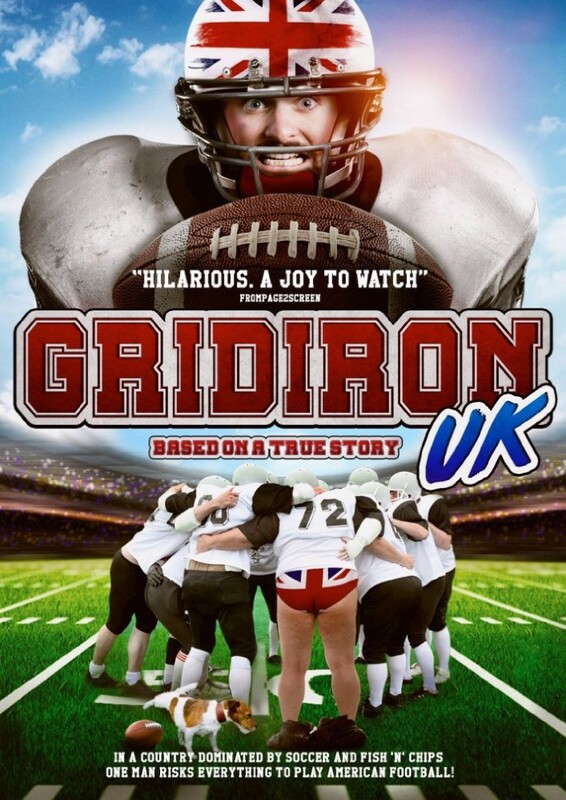 Last month, I joined cast, crew, local dignitaries and eager members of the public at the film premiere of 'Gridiron UK' at Crewe's Lyceum Theatre. Gridiron UK is the brainchild of writer-director Gary Delaney, and is based on true events that took place in and around Crewe in the 1980s when American Football became popular in Britain. The plot follows lead character Derek (played by Michael Dixon) and his desperate attempts to make something of his life by starting up a new team called the Railroaders. He encounters many problems along the way, and the audience are left wondering whether he can ever succeed. Produced entirely in Crewe during the summer of 2012, there are scenes at Bentley Motors (formerly Rolls-Royce), George V playing fields, Leighton Hospital, Queens Park, the Crosville Club and the Raven public house. The former Victoria High School, now part of the Crewe UTC complex, was also used as a production base, and a number of sets were created to ensure that all filming took place in the town. After many laughs, a lovely touch, on conclusion of the screening, saw Gary Delaney invite original members of the Crewe Railroaders American Football Team onto the stage to receive signed mementos from the film. Crewe's new £10.6 million University Technical College has opened it's doors to new students. Working with a range of local and national employers, the UTC aims to mould the next generation of engineers, innovators, technicians and designers. Cheshire East Council has led a successful bid to secure £900,000 of European funding to promote careers advice and boost skills and growth across the borough and beyond. The council’s Skills and Growth Company collaborated with both Warrington and Cheshire West and Chester Councils in developing a joint bid to the European Social Fund to deliver a two-year careers information, advice and guidance project across Cheshire and Warrington, promoting our high-growth and key technology sectors to young people. Councillor Don Stockton, cabinet member for regeneration, said: “This is excellent news for our talented young people and also for the local and regional economy as a whole. 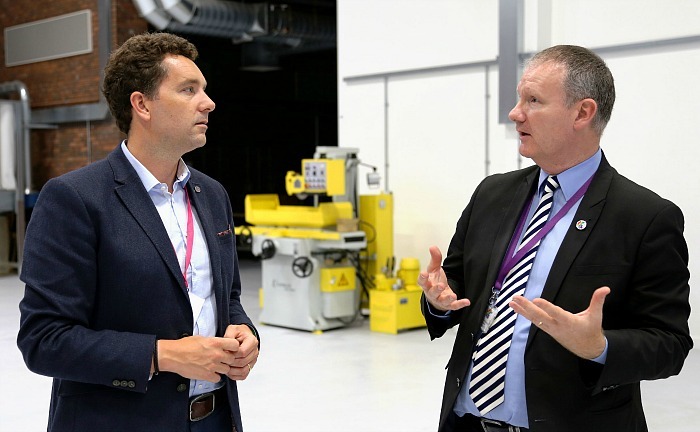 “This is further evidence that Cheshire East is open for business – and means business when it comes to working with partners to support growth and jobs across the borough. The funding will help support more than 500 young people and create at least 150 new apprenticeships. 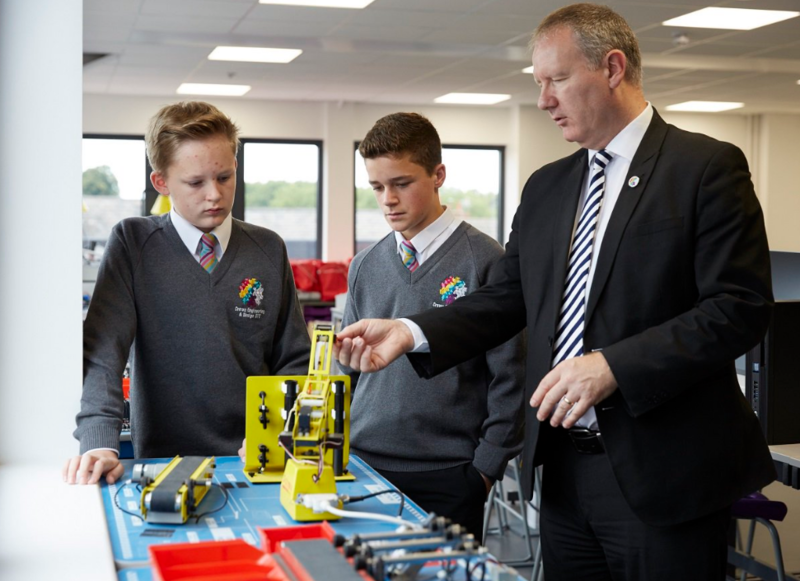 The project will help to raise awareness of the career opportunities within Cheshire and Warrington by providing a range of resources to assist young people to make better career choices, aligned to job opportunities, within the sub-region’s priority and growth sectors such as rail, engineering, advanced manufacturing and life sciences. Councillor George Hayes, chairman of the arms-length Skills and Growth Company, said: “This ambitious project will help to secure long-term benefits for our young people and our local businesses by providing comprehensive information and guidance to promote the exciting career pathways available across the sub-region. Cheshire East Council is urging members of the public to help identify ‘hotspots’ where homeless people sleep rough. The aim is to assist a national rough sleepers’ count to help gauge and highlight the plight of homeless people and target support earlier and more effectively. Partner organisations, including Cheshire East Council, Cheshire police and Cheshire fire service, will be volunteering to take part in the count on the night of October 20. Councillor Ainsley Arnold, Cheshire East Council cabinet member for housing and planning, said: “This council is committed to working with partner agencies to make a difference to the lives of vulnerable people in our communities. “Cheshire East will deliver this through working with partners to ensure prevention of homelessness takes place as early as possible, whenever possible. In 2012, the council launched the No Second Night Out (NSNO) initiative and supported 113 Cheshire East residents between April 2015 and April 2016 and saved them from having to spend more than one night sleeping rough. No Second Night Out aims to provide between three and seven nights’ accommodation for people who have slept rough for the first time or are about to do so. In that time, staff work intensively with the individual and try to find longer-term accommodation for them. This can be achieved with the help of private landlords, registered housing providers and supported housing providers. A total of four beds are available for rough sleepers throughout Cheshire East. Karen Carsberg, Cheshire East Council’s strategic housing manager, said: “This service has proved its worth as a way of intervening at an early stage to prevent people from becoming rough sleepers. This means that people who are going through difficult times are given a chance to get their lives back on track. This is in addition to the engagement work already being carried out by Cheshire East staff, who will focus on their longer-term objective of achieving the three ‘e’s – to engage, educate and enforce. Councillor Paul Bates, Cheshire East Council cabinet member for communities and health, said: “We’ve made our position clear on this matter. Enough is enough. The recruitment of these officers is a clear sign of how seriously we take this issue. If you see evidence of fly-tipping, please contact us on 0300 123 5021. Enough is enough.Since 2009, when Cheshire East was formed,Crewe and Nantwich residents have been paying excessive car parking charges.In contrast the residents in Sandbach,Middlewich and Alsager don't pay a dime for their car parking and haven't done for seven years. In Crewe and Nantwich last year the Borough Council took a whopping £1,500,000 in car parking fees.Throughout the Borough they made a massive profit of £2,500,000 on car parking charges.The Council is barred by law from spending these profits on non-highway expenditure.They can't use it to subsidise other loss making departments. Cheshire East should tell us what this £2,500,000 is spent on. It certainly isn't being spent on the ever increasing potholes we have to dodge as we drive around. The time has come for a fair deal for all Cheshire East residents. We cannot carry on with a situation where some pay through the teeth to subsidise those who pay nowt.That is not fair and cannot be justified. Finally, where are the Town Councils in Crewe and Nantwich on this? It is about time they stood up for the people they represent. They should be banging on the door of the Borough Council demanding fair treatment on car parking charges. A reduction in fees would help both town centres, but especially in Crewe,which is in danger of dying on its feet. Tourism spending has hit a new record in Cheshire East thanks to higher visitor numbers across the borough – which topped 15 million last year! Income generated by the visitor economy increased from £807m in 2014 to £842m in 2015 – a rise of 4.4 per cent and a whopping 54.8 per cent up on 2009, when Cheshire East was formed. The Steam (Scarborough Tourism Economic Activity Monitor – see notes to editors, below) figures also showed a 2.3 per cent increase in employment in the visitor economy sector too. Councillor David Brown, Deputy Leader of Cheshire East Council, said: “Tourism in Cheshire East continues to just grow and grow and exceed industry expectations. “With Tatton Park, new visitor facilities at Jodrell Bank, our gateway to the Peak District, excellent historic market towns, superb hotels and guest houses, exciting and popular events such as the recent Tour of Britain and the prospect of a game-changing HS2 hub station at Crewe, we anticipate the number of people visiting Cheshire East will continue to soar. “The success of our visitor economy is great for the borough as a whole, bringing jobs, investment and a real boost for our local businesses. The total number of visitors increased 4.2 per cent to 15.23 million last year. The number of visitor days spent in the borough rose by four per cent to a total of 16.87 million – an increase of 28.3 per cent since 2009. The number of people employed in tourism in the borough grew by 2.3 per cent in 2015 to 11,100, which means that the industry has boosted its workforce by 28.9 per cent since 2009. Labour's Health Spokesperson Diane Abbott says the 17.4 million Brexit voters are racist and responsible for hate crimes.Labour Leader Jeremy Corbyn says that Labour wants literally no limits on immigration into UK. He want a total open door. Anyone who wants to come can just walk in. Once here,they.can use our NHS,take up places in our already overcrowded schools,take up subsidised social housing tenancies, clog up our roads and claim in-work and out of work benefits, that are paid for with our taxes. Labour are now run by a far left metropolitan elite who sneer at the legitimate immigration concerns and fears of the working class they once represented.Labour were wiped out in Scotland because they would not listen and the same is going to happen in England and Wales. The Tory Government has promised for 6 years to get net immigration down to 100,000 but the promise has been broken every year.It is now over 300,000 a year and rising. UKIP are the only party that are listening to the 75% of the population who want to see net immigration reduced.UKIP is the only party that will ensure that immigration actually goes down and not up. Do you know anyone who has made a great contribution to their local community? If so, make sure you get your nomination in for the Local Hero Awards 2016, which close this Friday (October 7), with entries sought for 12 categories. Cheshire East Council is once again the key sponsor of the awards and a glittering ceremony will take place at the Tytherington Golf Club and Spa, in Macclesfield, on October 21. The event is being run in partnership with Silk 106.9 and will celebrate and recognise the achievements of Cheshire East residents, with awards for Act of Courage, Neighbour of the Year, Champion Child, Our Volunteer of the Year, Parent/Guardian of the Year, Carer of the Year, Local Business of the Year, Teacher of the Year, Young Achiever of the Year, Social Enterprise of the Year, Sportsperson of the Year and Pride of Cheshire. The Mayor of Cheshire East, Councillor Olivia Hunter, will attend to present the award winners with their trophies. 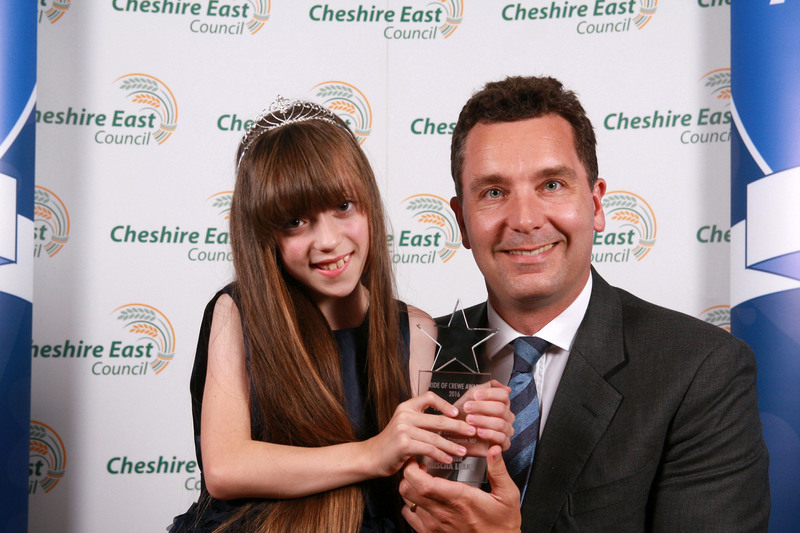 Councillor Paul Bates, Cabinet member for communities and health, said: “Cheshire East Council is proud to sponsor The Local Hero Awards, which are a brilliant way to honour the outstanding work being carried out across the Borough. Cheshire East Council is backing a national campaign to make the public aware of hate crime. The national hate crime awareness week will run from October 8 to October 15 and the focus point in Cheshire East will be an event held on the market square outside Macclesfield Town Hall on Wednesday October 12. Hate crime is any criminal offence committed against a person or property that is motivated by an offender’s hatred of someone because of their race, colour, ethnic origin, nationality, religion, gender, sexual orientation, disability or any other personal characteristic. The event on Wednesday October 12– hosted by Cheshire East Council and supported by the NHS, Public Health England, Barnado’s and Cheshire police – will provide opportunities for people to share their experiences in a supportive network. The campaign’s aims are to provide a focus to raise awareness, encourage reporting, promote local support services and to look at ways of working collaboratively to prevent hate crime. As well as providing an opportunity for people to meet and talk to colleagues from Cheshire East’s safeguarding team, there will be a chance to see a performance of a spoken word piece called ‘Stop adult abuse’ which was based on a poem created by one of the authority’s service user groups. Rose Simkins, chief executive of Stop Hate UK, said: “We wholeheartedly support the national hate crime awareness week and we would encourage people to show their support to the many people affected by hate crime.